From June 25 to July 2, the Camino de Santiago hosts the VII edition of the race 'A Santiago contra el cáncer', which seeks to raise funds for the fight against this disease. As every year, almost 70 riders gather to participate in this non-competitive race that will take them, relief to relay, to Santiago de Compostela. As a requirement to participate, each of the runners must get 200 € in donations that will be donated in full to AECC (Spanish Association Against Cancer), without paying the contributions in any case the expenses of the solidarity race. 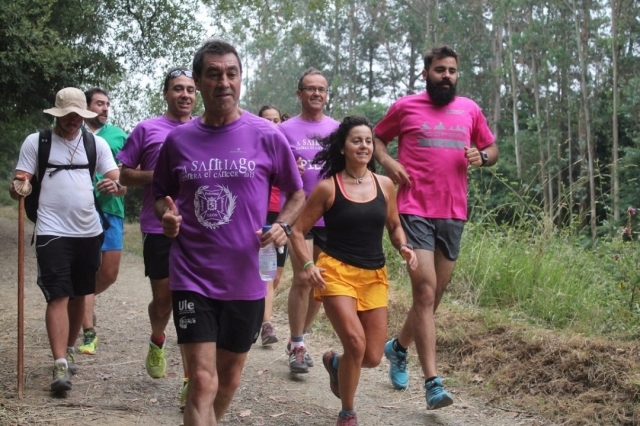 The race, which has the support of the Provincial Council of León and the University of León, will take this year an alternative route to previous editions, which covered the French Way. On the occasion of the celebration of the Holy Year on the Camino Lebaniego, you will depart from Irún, crossing the Northern Way through the Basque Country until entering Cantabria through San Vicente de la Barquera. You will follow the Camino Lebaniego to Santo Toribio to cross the Picos de Europa and later you will run to Sahagún (León) to take the traditional French Way, entering Galicia to conclude in Santiago de Compostela. The total distance increases substantially, approaching the 1,000 kilometers of route. 'A Santiago contra el cáncer' is a solidarity initiative that was born out of nowhere in 2011 with the aim of giving social visibility to the fight against cancer. Touring the Camino de Santiago in relays, the idea of ​​the popular riders has survived seven editions, achieving during these years 120,000 euros for AECC, achieving in the last edition a collection of more than 31,000. Una gran iniciativa, suerte con la recaudación (no pone donde se puede colaborar) y buen camino a los corredores.